For me especially, Restaurant Week presents an opportunity to affordably try Omaha restaurants on which I may not otherwise splurge. A handful of the 65+ participating restaurants were especially enticing, as they’ve been on my ever-growing must-eat list for quite some time. 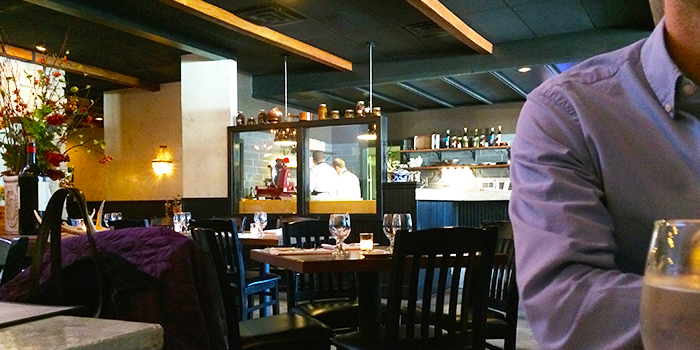 Avoli Osteria, an Italian restaurant in the heart of the Dundee neighborhood, came out on top. 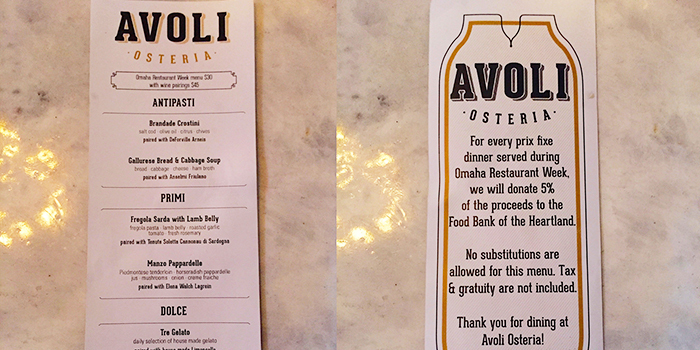 For their three-course prix fixe dinner menu, Avoli Osteria offered two choices of each: an appetizer (antipasti), main course (primi) and dessert (dolce) for $30. For an additional $15, wine pairings could be included. Avoli Osteria offers a sophisticated ambiance. (But it must be noted, the dress code is not fussy.) The dining space features dark wood, an exposed kitchen area, skylight and beautiful light fixtures. 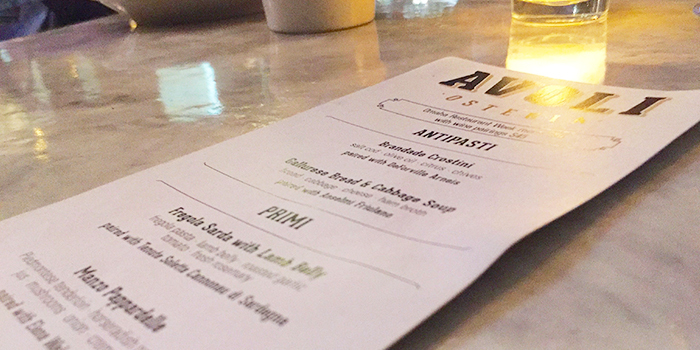 The Restaurant Week menu was a solid representation of the kind of dishes you’ll find on Avoli Osteria’s regular menu. Each table was complete with a candle, creating an enticing dinner atmosphere. In other words, a great place for a romantic date. The marble tables are an excellent touch. 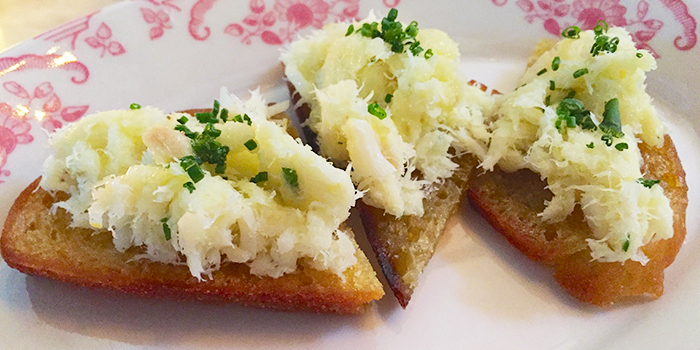 Being the bread lover I am, I had to order the Brandade Crostini – crispy bread topped with salt cod, olive oil, citrus and chives. This appetizer got my taste buds geared up for the main course. 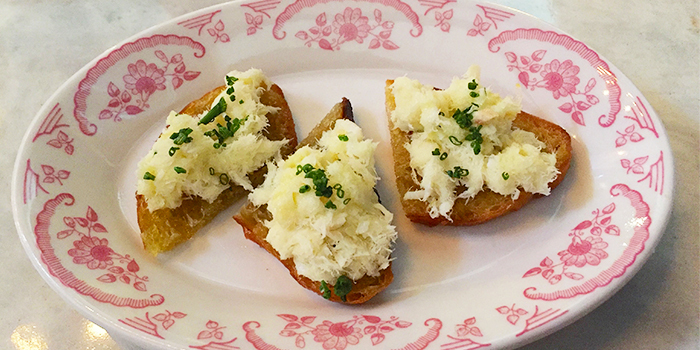 Perhaps meant to be devoured in one or two bites, I couldn’t help but nibble on and enjoy my crostini. Note the gorgeous porcelain on which each course is served. 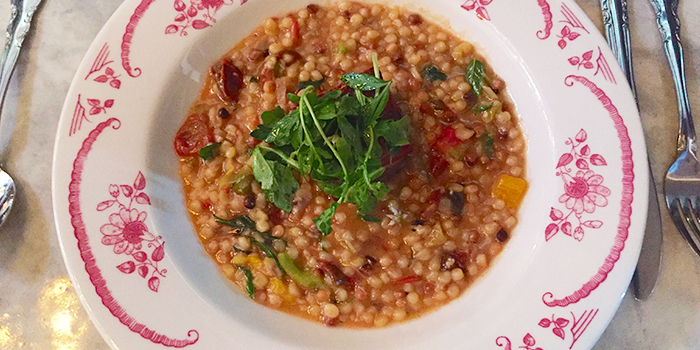 I ordered the Fregola Sarda with Lamb Belly as my entree. 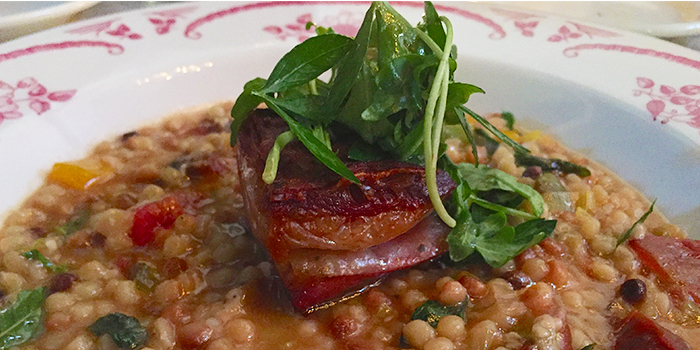 It consisted of fregola pasta, lamb belly, roasted garlic, tomato and fresh rosemary. The emphasis on the herbs and sauce in this dish was great; each spoonful was rich and flavorful. I enjoy dishes that force you to savor each and every bite. Not only is Restaurant Week a great opportunity to dine at a new establishment, but it’s a great way to try ingredients or complete meals that are new to you; this was my first time eating lamb belly. Last, but not least, dessert. 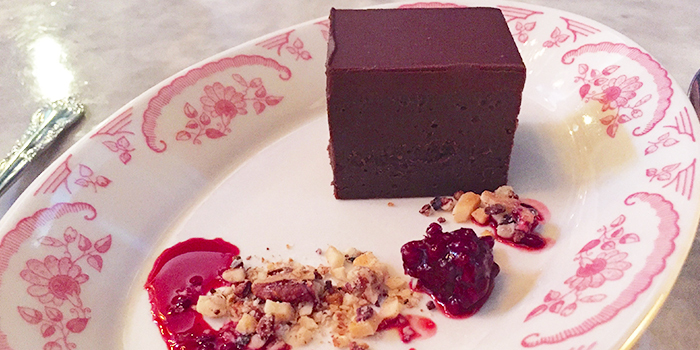 I ordered the Flourless Chocolate Cake complete with mint ganache and blackberry compote. In a word: heaven. The silky smooth texture of the cake married with the compote and crunchy nuts satisfied my craving for texture.